Progress on my Evolution shawl! You can see the cable section. This is such a fun pattern with so many techniques. 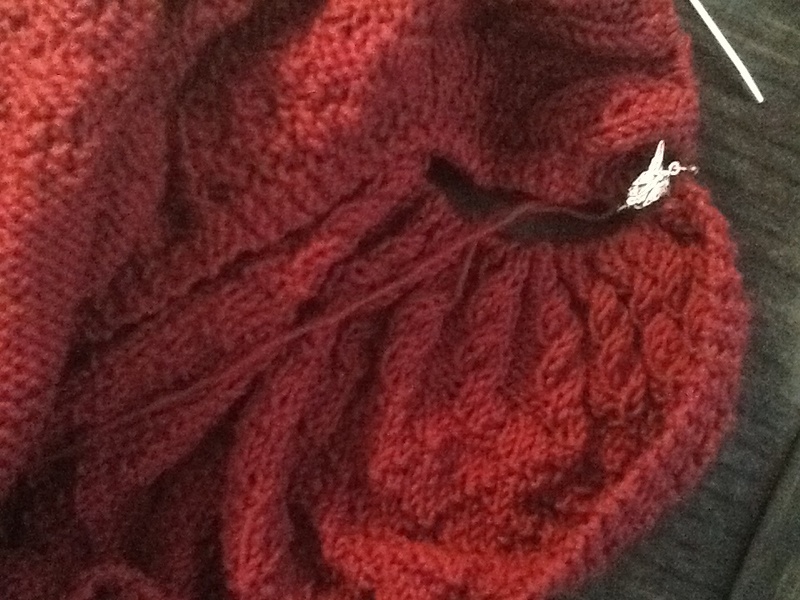 I love cables, and I had forgotten how easy they are. Basically, you have one pattern row where you have to fuss with crossing stitches, then several plain rows with simple knits and purls. 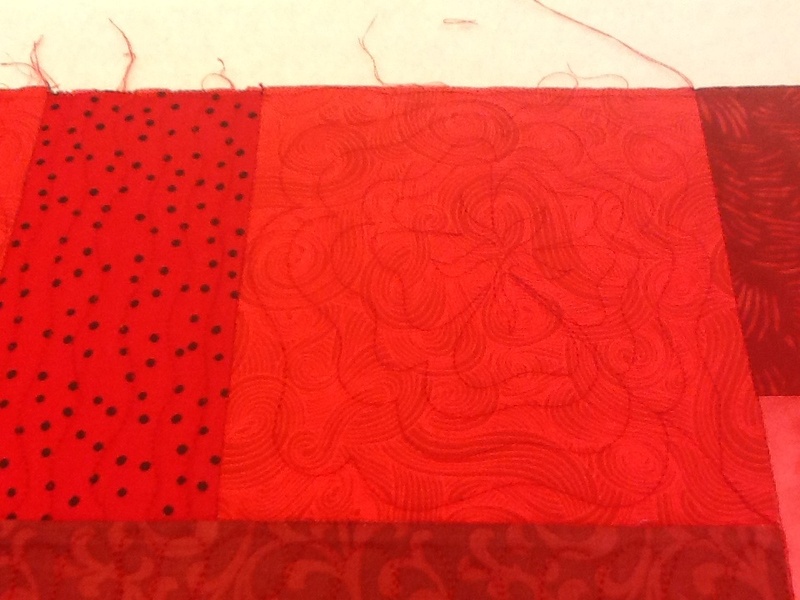 I still have not gotten the 40″ circular needle that I need to spread this project out a bit more. There are around 250 stitches in each row right now and they fit on this 24″ circular, so I guess it’s not a rush. I know I will be buying yarn soon so I want to combine my purchases. I’m just waiting on designer Stephen West to announce the details of his next Mystery Knit-Along…last summer was his Rockefeller pattern which started my love of shawl knitting. 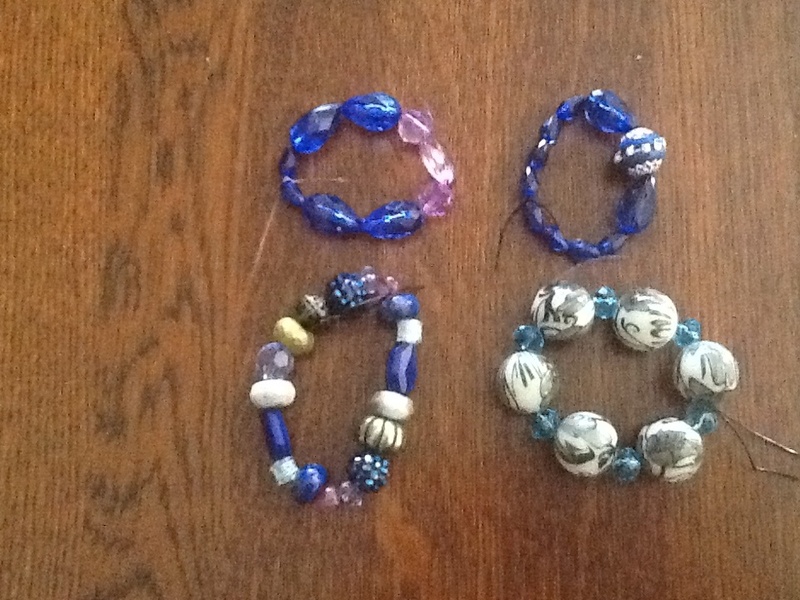 My daughter fell in love with beads, so we went to the local craft store for a lesson yesterday. Mine is the one on the bottom left, she made the others. They are very quick projects and if I don’t set limits, we could be drowning in beads very quickly! And of course, she has expensive taste. Oy! 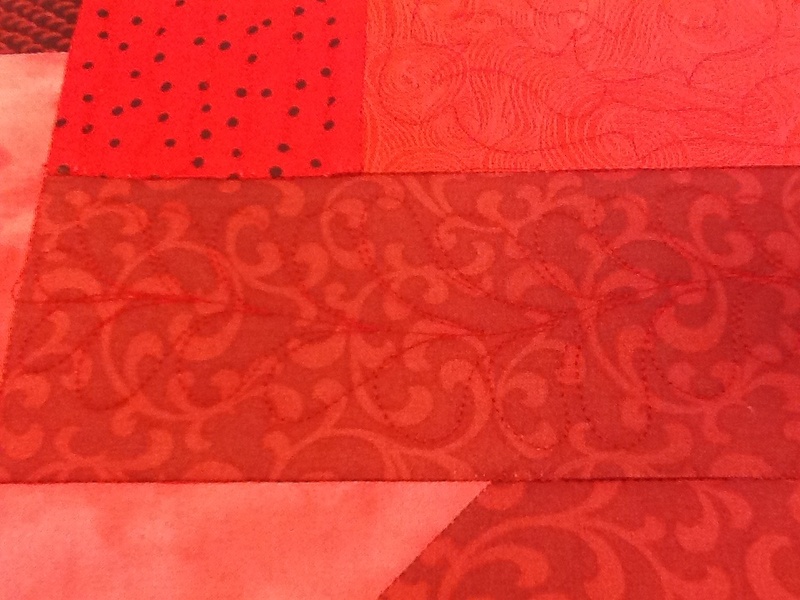 After a week-long break, I loaded another quilt on my longarm. I am calling it “Feather-palooza” because I am putting feathers everywhere! Since I had so much fun with the feathered hearts in the Irish Chain quilt, I am using a basic circle to make wreaths. There are some spaces where I am doing some freehand flowers too. 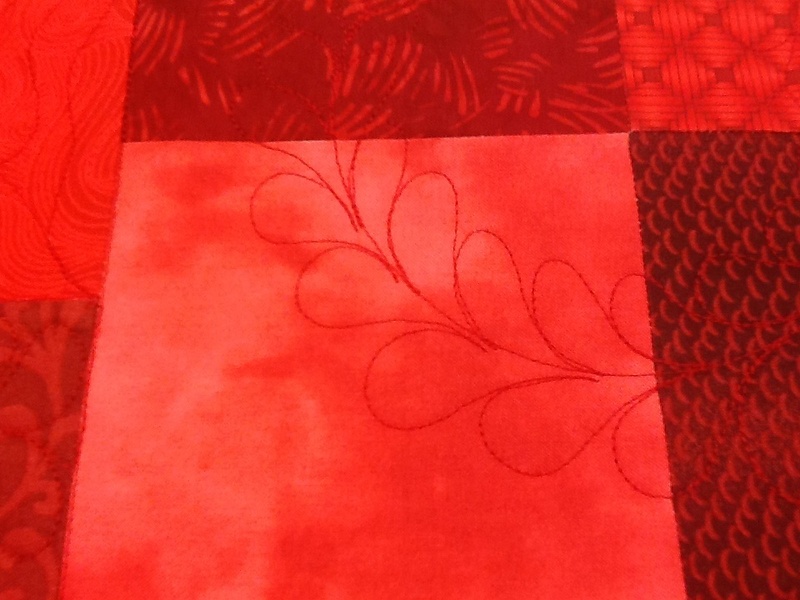 Yes, this quilt is very red! Only two more days then it’s back to the school routine. 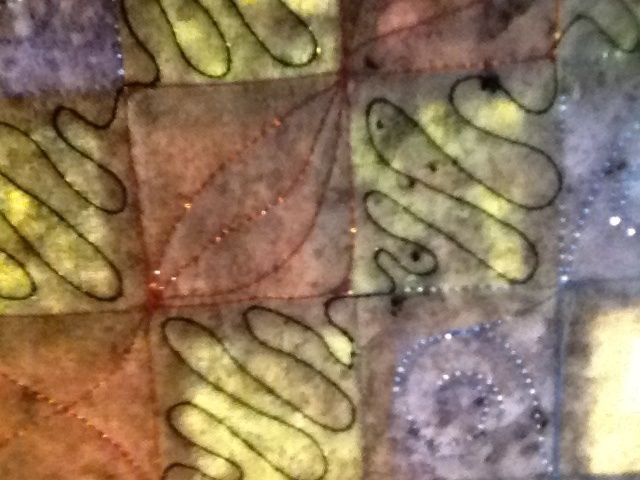 I am going to try to quilt more during the work week since I am home early in the afternoons. When do your kids go back to school? 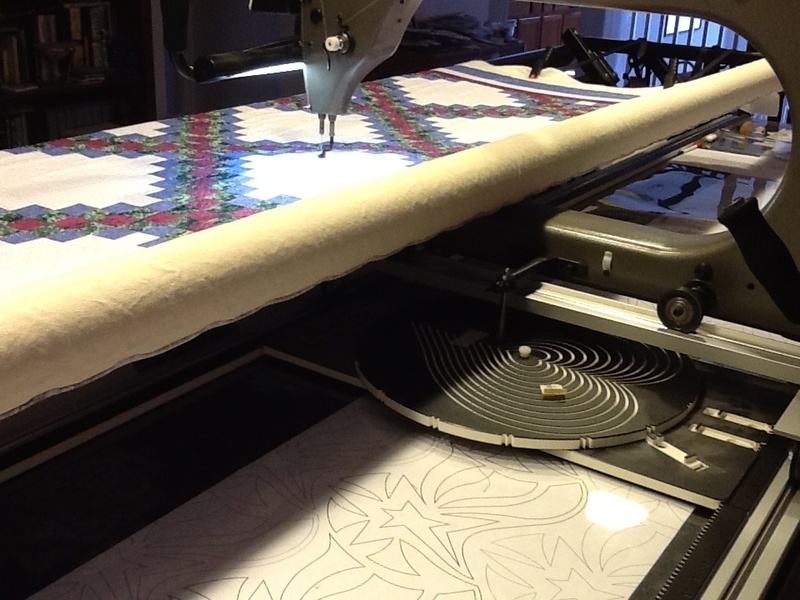 And when do you make time for your quilting/crafting? 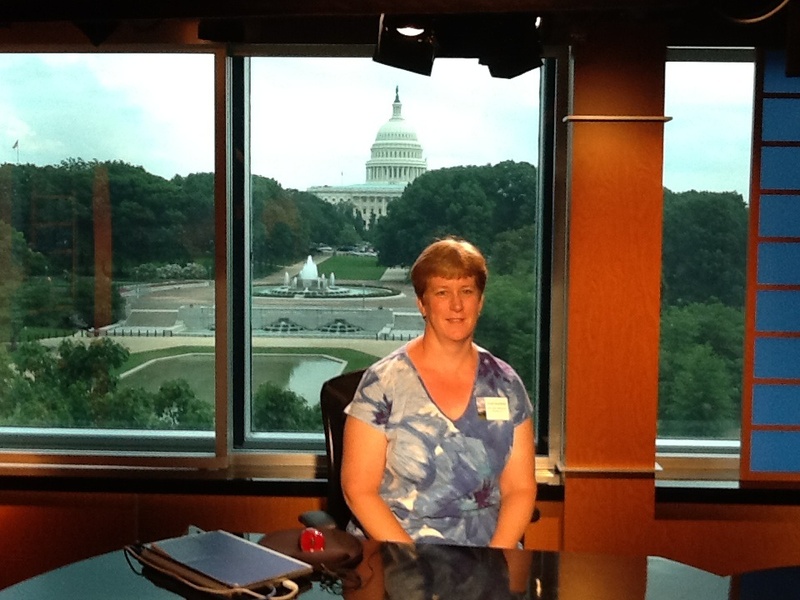 I had a fabulous, but all too short, visit to Washington D.C. C-SPAN hosted a conference for high school social studies teachers. Here I am on the set of Washington Journal, their daily call-in/current events show. I learned alot about their video archives, and I am excited about the research my students can do in the classroom. I had just a few hours to spare before the plane trip home, so I walked a few blocks to the Newseum, which opened in 2007. It is dedicated to news and journalists. 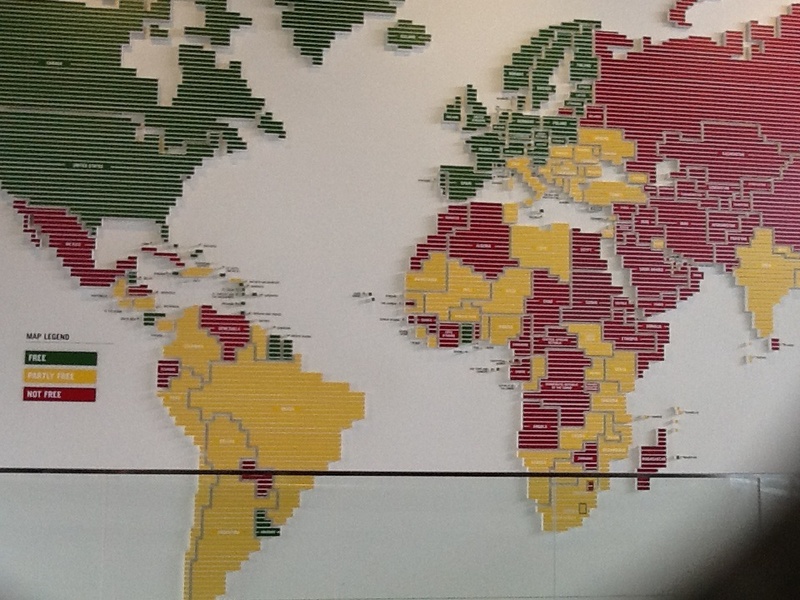 The map above visually depicts freedom around the world. That will be a great opening for discussion about comparative politics! But, we are still on summer vacation so let’s get back to the fun stuff. New knitting projects! This is Evolution from Remily Knits. It is a shawl and each section represents a new skill that you learn in your knitting journey. So far, I have done the basic garter and stockinette sections, and progressed through the diamonds where you learn to mix the knits and purls (and read charts) to add texture to the piece. The next section is cables, whee! 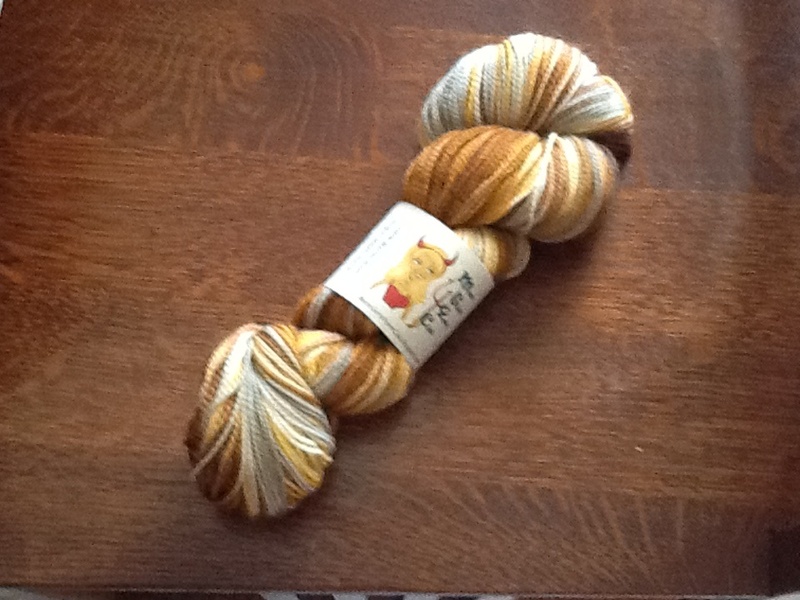 This project is taking a slight timeout while I shop for longer needles. So, I started some socks. The yarn dyer who runs Dizzy Blonde Studios and the Mean Girl Yarn Club started a contest on Ravelry. She is offering prizes for anyone who starts and finishes a project, using her yarn, between July 1 and Aug 31. Sign me up! I tend to jump on any bandwagon that rolls by, LOL. I checked out my list of favorites and saw a not-too-difficult sock pattern called Nanners by Wendy Johnson. 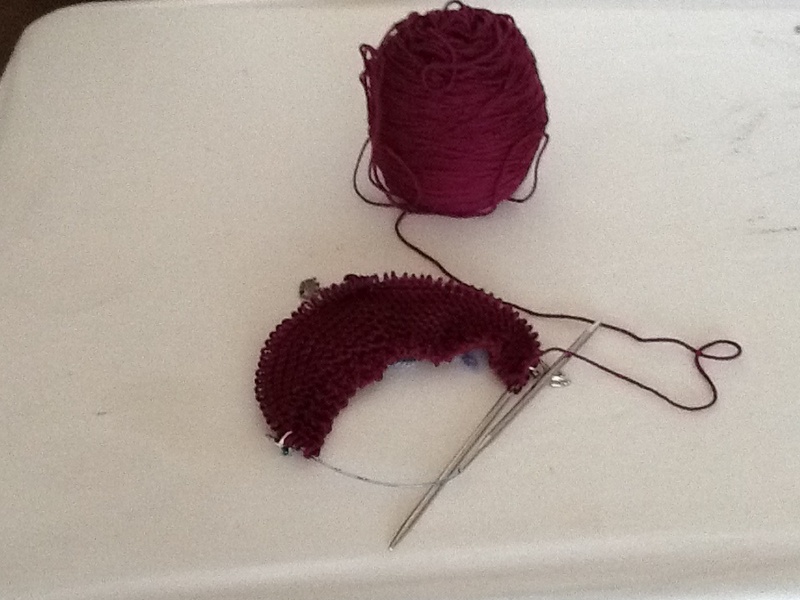 I had to challenge myself though, so being stubborn, I am not using her instructions for toe up socks on two circulars. I would rather enjoy the old-fashioned technique of cuff down socks on DPNs. 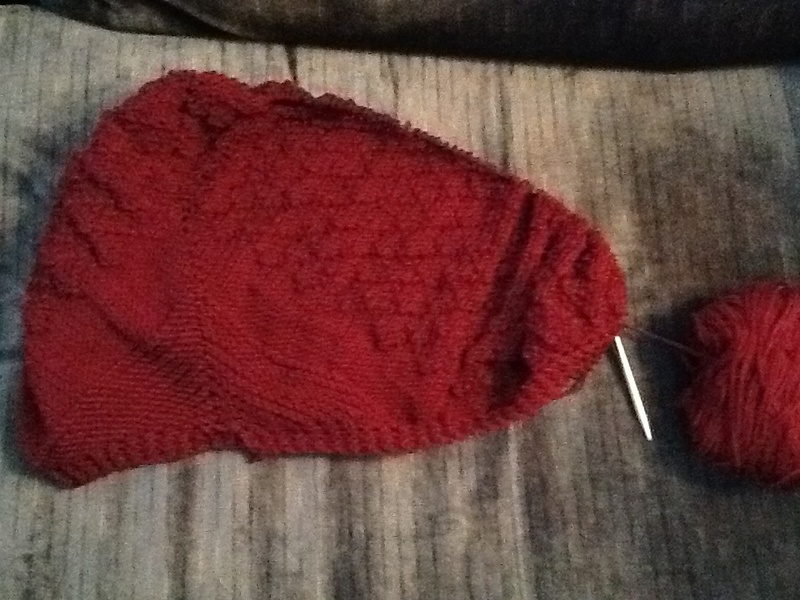 I have barely started the ribbing so I’ll take a picture when I have something substantial to share. 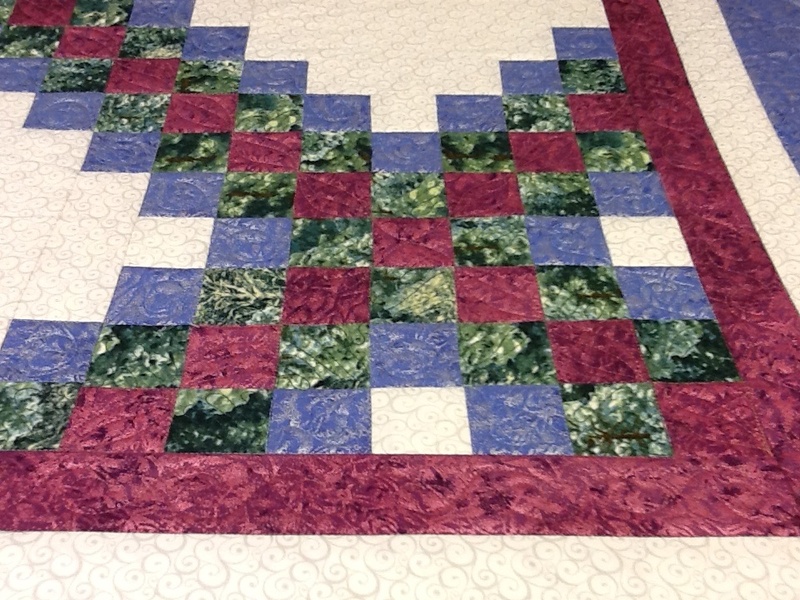 The Irish Chain quilt was delivered to a happy customer, phew. Now I can work on my own designs, yay! Maybe tomorrow I will have time in my sewing room. What are you working on this week?